INnoVation is getting all the spotlights in Korea at the moment. 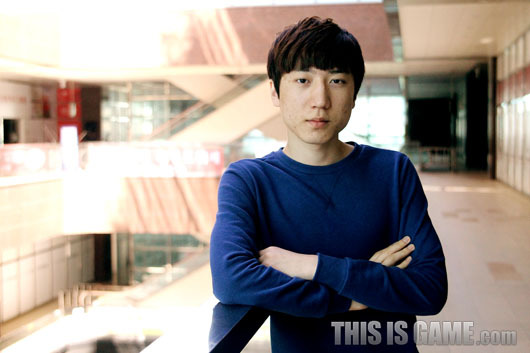 Dailyesports and ThisisGame did two long interviews of INnoVation to documenting the rise of this great Terran player. This thread is an edited compilation of two Korean interview. There are just some highlights from the two interviews not the whole articles since the original articles are a little bit too long. There two interviews are new ones that came out May, 3rd and May, 9th. Sorry for the unpolished translation. But enjoy! In HOTS, two players got the most spotlights. They are KT.Flash and STX.INnoVation. Both players are of similar results in SPL, but based on individual league, INnoVation is now called the first Terran by many people. There is probably no denial of this. 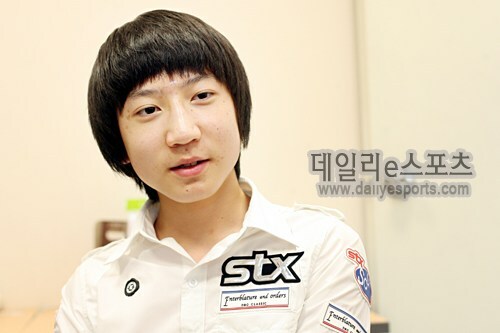 However, a few years ago, STX.INnoVation was a representative of complete noob in SPL. His personal result was only ok during SPL 08-09 and 10-11. Even though he became the ACE player of STX Soul in the later days of SC1, his team was in bad shape. His personal performance during hybrid SPL was terrible: 3-wins and 9-losses. He had 6 SC2 games and they were all losses. INnoVation’s rise was after the end of the hybrid SPL. And the GSL Season 5 in 2012 was the proof of his rising performance. So we interviewed STX Soul head coach to talk about the rise of this tough rookie. STX Soul head coach: "Overall, based on SC1, INnoVation was top 1 or 2 Terran, especially during the rookie period. If it is to say that Flash's overall score was 70 during his rookie period, then INnoVation's score on macro was 90, and his strategy's score was 50, and mechanics' score was 70, during his rookie period." "INnoVation once said to me that televised games are so difficult to adapt to." "His result today is forged only through hard work, tear, and perspiration. I chose him only because of his macro skills back then. But he rises and work on his weak points through hard work." "He is not a talented player. A talented player is like Nada. When I chose INnoVation, I had already found his limitations on the 'big sense of StarCraft' [not sure about how to translate], but his hard work helps him get through that." Who are the stars of SC2 HOTS at the moment? There are Life and Flash, but there is another strongman, that is STX. INnoVation. We went to the team house and interviewed him. It was a holiday but he was still in the team house and practicing. We talked about the transition from SC1 to SC2. Many players had resistance to SC2, but INnoVation was not one of them. INnoVation said that his goal is to be a shining star who gets SPL and WCS championships. He is not satisfied at the moment and will work hard to show his skills. INnoVation thanks his fans at last and said he will how good games to satisfy the fans. overall despite what he said, I still Innovation is the best Terran and all around player in the world atm. Just a few more months of shaping up TvT and TvP then he'll dominate the scene. Innovation is a beast. my new fav player! Hope he can win GSL this season! I hope he wins too. It's a long time since we don't have a Terran GSL champion. I personally don't think anyone can beat him that's left in the GSL. Flash or Life could possibly, in a bo5 or bo7. He's so good and has a great work ethic. he's pretty modest too. I think he has a good chance of winning GSL and WCS as a whole. He sounds like he is a terrible player.... He really wants to be the best. Obvious best player in the world! Really surprised by his humble and honest nature. Also agree with TvT... It's pretty chaotic. WoL TvT was so much better imo, now it feels a lot more like ZvZ or even PvP to some extent. As for players that can beat him? I think Roro and Soulkey are both good candidates. Also sOs could as well, but I think Innovation would do much better against sOs in a bo7 than a bo1 or bo3. SoS and Soulkey have a chance. WOW. I've always been the first to say innovation is overhyped, but reading this interview, I kinda feel bad. He's SOOO modest, lol. Even if its true, he has the courage to openly admit his biggest terran rival is better than him in TVZ. Now that deserves respect. I hope for a good gsl run! Thx for uploading this! You can´t dislike this guy, So humble and nice and amazing at the game! I hope he wins the WCS!! Impressive - gotta like a guy who just goes to work to be good at what he does. I like his glasses-free look. Cool that he's so humble.